Leading Exporter of ptfe cables and ptfe multicore cables from Mumbai. 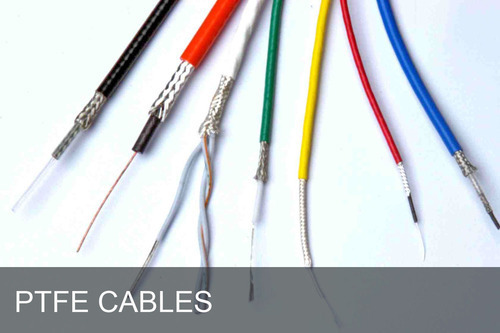 We offer a wide range of PTFE/FEP/ETFE insulated single core & Multicore cables. These cables carry higher currents as compared to the same cross section in PVC wires. These find use in HIGH-TEMPERATURE ZONES, ACIDIC ZONES & CHEMICAL AREAS. We are offering high-quality PTFE multicore cables which are made by twisting single core cables. 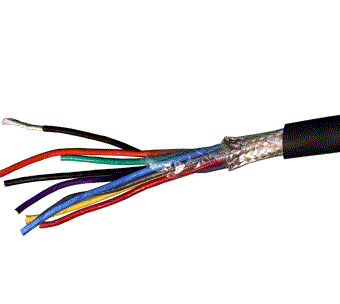 Single core is made by stranded or single conductor as mentioned above in hook up wires. These twisted cables are shielded by metal shielding as per customer requirement, at last, it is covered by tape wrapped mylar, PTFE, Polyester or Conventional Extruded PVC Jacket/ Sheaths as per customer requirement.